Congratulations, Jerry, on your win in the Wild Birds With Fruit Flowers Or Berries contest. 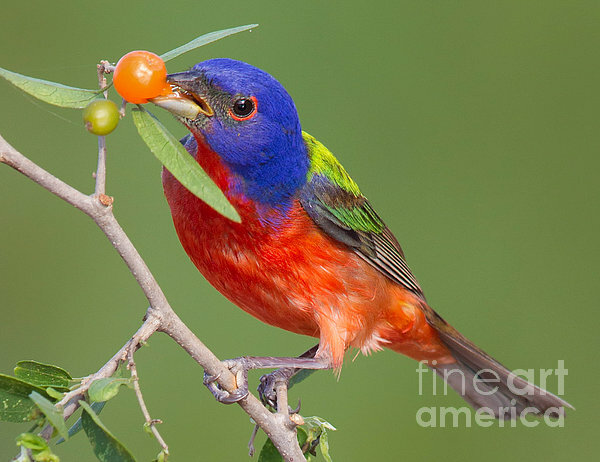 Jerry, one of my favorite photos of the beautiful Painted Bunting! 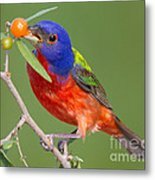 Congrats on your 2nd place win in the "Wild Birds with Fruit, Flowers, or Berries" Contest! 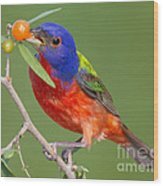 Congratulations on your 2nd place win in the Contest - Wild Birds With Fruit Flowers Or Berries!! Excellent capture!! Outstanding Jerry! Had to vote like and fav! What a beauty!! L/F! Fantastic shot, incredible details, congrats! 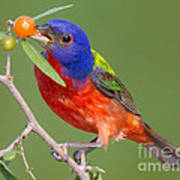 Jerry - this is a wonderful photograph of a drop-dead gorgeous bird! Such brilliant colors, love the contrast against the green background! Fantastic capture! Excellent work, Jerry! Vote, fave, and like! He's on my list of birds that I want to photograph. f/v. they are easy to find in Texas.